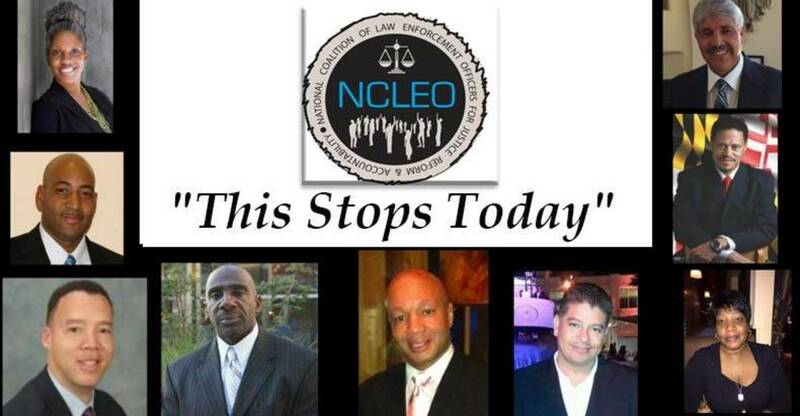 Washington, D.C. – The National Coalition of Law Enforcement Officers for Justice, Reform and Accountability (NCLEO) is a contingent of current and retired law enforcement officers and whistleblowers. NCLEO will be meeting with a congressional delegation that includes civil rights icon Rep. John Lewis in Washington, D.C. on Wednesday to discuss policing reform. These former officers seek to assist in helping to reform a system that is severely broken and many times entirely devoid of justice. Problems that range from racial profiling and police brutality to the lack transparency in relation to allegations and complaints of misconduct by officers will be addressed. “Modern policing is in a crisis that could lead to a revolution. We need a paradigm shift to get rid of antiquated policing. The insular culture of law enforcement and mental health issues in cops need to be addressed, as well as ingrained racism,” said NCLEO member Alex Salazar, a former LAPD cop turned whistleblower, in an interview with The Free Thought Project. All too often we see the police, as well as prosecutors, ignore officer misconduct and in effect passively support the status quo of a broken justice system. To the public at large the “us vs. them” mentality held by law enforcement emboldens an anti-police response from the public and only serves to create a greater divide. This group of former, retired, and current officers heading to D.C. represents departments from across the U.S.. LEOs from St. Louis, Los Angeles, New York, Philadelphia, Washington DC Metro, Albuquerque, East Orange, New Jersey, Brockton, MA and the US Marshal Service will be in attendance. In far too many instances the “thin blue line” or “blue wall of silence” are invoked whenever there are allegations of misconduct on the part of an officer. The proverbial wagons are circled and law enforcement no longer seeks just, as they so often claim, but rather only to defend a “brother” at all costs. This culture is so prevalent in policing that when an officer does attempt to step forward to do the moral thing, they are often abused by other officers and eventually pushed out of the force. Officers are well aware that they only need to say that someone was reaching for their waistband, attempted to grab for the officer’s gun or refused to comply, to justify initiating violence upon a citizen. Police often claim that citizens and activists don’t understand the nature of policing, and that they would see things differently if they were in the officer’s position. This is exactly what makes NCLEO so important. Being former officers allows an inside view of the system, which makes their perspective on policing reform and justice all that more credible. “They can’t take away our collective police experience. We know what it’s like to be shot at. We know what it’s like to be in confrontational situations, so we can refute excuses about using force,” said Salazar. There is no easy or quick fix, as the problems faced are systemic in nature and will take a wholesale reform of policing to accomplish the necessary results. A new era in policing must be undertaken and substantive changes in the way departments’ deal with the “blue wall of silence” must be made. For the brave officer that chooses to “stand up” and become a real reformer of policing, there is a new resource that can help them to organize and establish a strong support network, it’s called honestpolice.org. The time is now to create a new paradigm in policing and a more just society for all Americans.